NASHVILLE, Tenn. (AP) — Country artists Luke Combs, Ashley McBryde and LANCO get to attend the ACM Awards in Las Vegas next month knowing they are already winners. The Academy of Country Music posted videos on Twitter on Monday of Carrie Underwood calling to congratulate each artist. Combs won new male artist, McBryde won new female artist and LANCO won new group of the year and all will be performing on the awards show airing on April 7 on CBS. Combs’ 2017 debut “This One’s for You” is double platinum and his first five singles hit No. 1 on Billboard’s country airplay chart. He’s also nominated for male artist of the year at the ACMs. McBryde’s album “Girl Going Nowhere” was nominated for best country album at last month’s Grammys and she earned a Daytime Emmy nomination last week for her performance on “CBS This Morning: Saturday.” She is also nominated for female artist of the year. 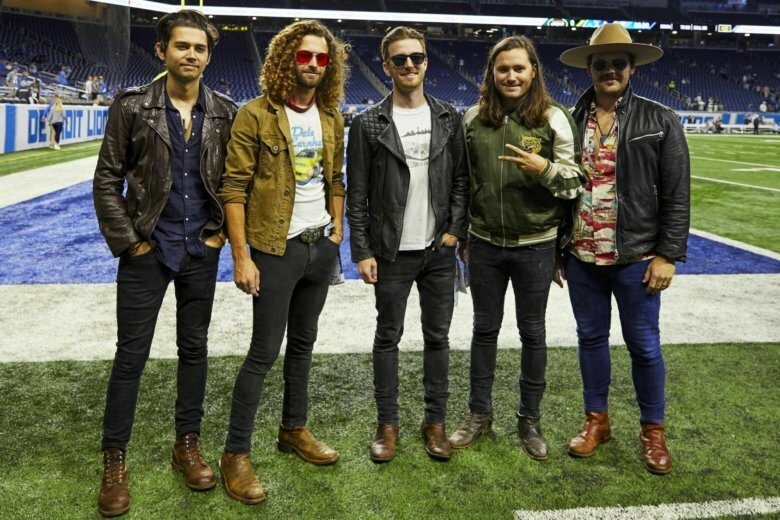 LANCO, a group of five, released their first album “Hallelujah Nights” last year and are also nominated for group of the year. ACM also announced that Underwood would also be performing during the awards show, which would be her first major TV appearance since giving birth to her second son, Jacob Bryan Fisher, in January with husband Mike Fisher.